Recently i was trying to host the WCF service in IIS. The service got created fine and was able to run it in the localhost. However, when I hosted the service in IIS and tried browsing it, the service file i.e. the .svc file started to get download instead of getting opened up. Tried many things on internet but it didn't worked. Finally decided to check the windows features turned on or off. I found the following settings to be un-checked and decided to enable these features. Check these features and then click 'OK'. 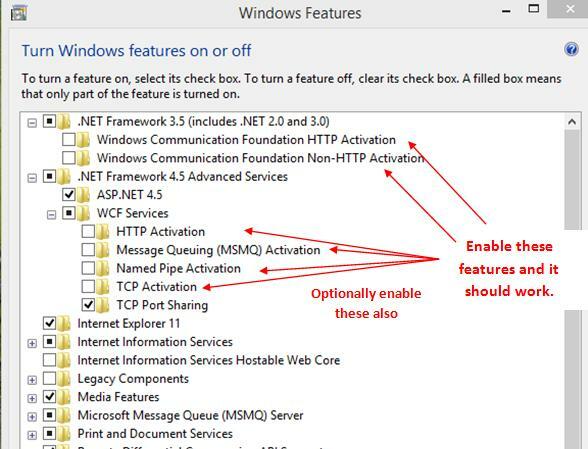 This will enable these features and then re-start the IIS using iisreset command on the command prompt, to apply the changes. Check again and it should work fine now. Hope this helps others also. I dont really post but thank you so much, 8 hours i spent trouble shooting this bloody problem. Thank you so much!